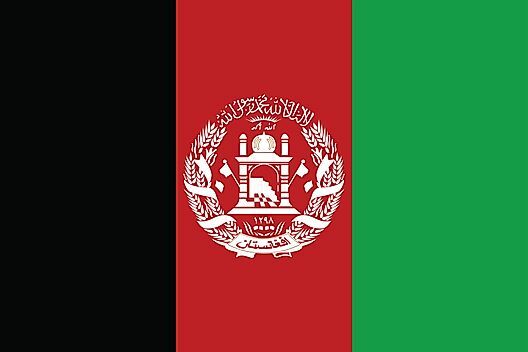 After the defeat of the Taliban, this Afghanistan flag is the latest one to fly over this long-embattled country. 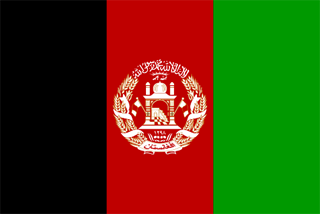 It displays the Pan-Arab colors of red, green and black, with the coat of arms centered in the red band. 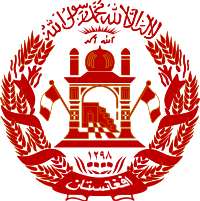 Afghanistan's coat of arms features a golden mosque ringed by sheaves of wheat. The Arabic inscription at the top reads, "There is no God but Allah and Muhammed is his messenger."